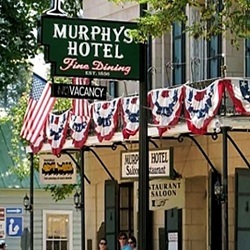 In the very heart of Murphys is the picturesque old hotel now called the Murphys Historic Hotel. 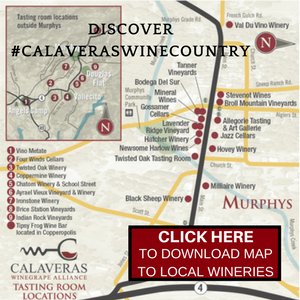 Centrally located in Calaveras County and California’s historic Gold Rush country, Murphys Historic Hotel offers easy access to wineries, art galleries, natural wonders such as the Calaveras Big Trees, Yosemite National Park, Moaning and Mercer Caverns and activities including golf, skiing, caving, river rafting, cycling, antiquing, gold panning, fishing, hiking and more! The Murphys Historic Hotel remains the crown jewel of the Mother Lode anchoring the town of Murphys at the corner of Main Street and Algiers. One of a hundred Wells Fargo Bank stops with a long history of famous guests, this historic landmark is a favorite destination of local town folk and international guests alike.